Sport-locker.net are always bringing you (well, at least trying) the news of the latest football boot launches. For over 20 years, Tiempo has been synonymous with premium leather football boots. 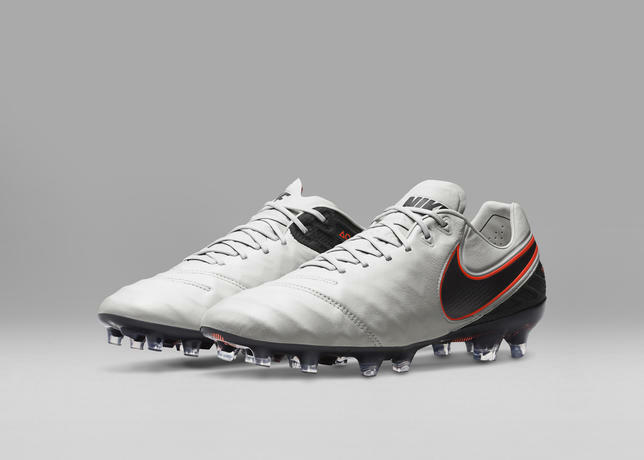 The new Tiempo Legend 6 builds upon that legacy with innovative craftsmanship for dominant touch. “Tiempo players start the attack,” says Nike Football Designer Vianney de Montgolfier. “We prioritise the touch and precision they depend on. Historically, Tiempo boots have featured a quilted leather toe box. For Tiempo Legend 6, Nike sought to provide the touch attributes of quilting, without extensively perforating the leather. The new boot features an internal, cushioned cage that holds its shape and grooves the leather with minimal stitching. 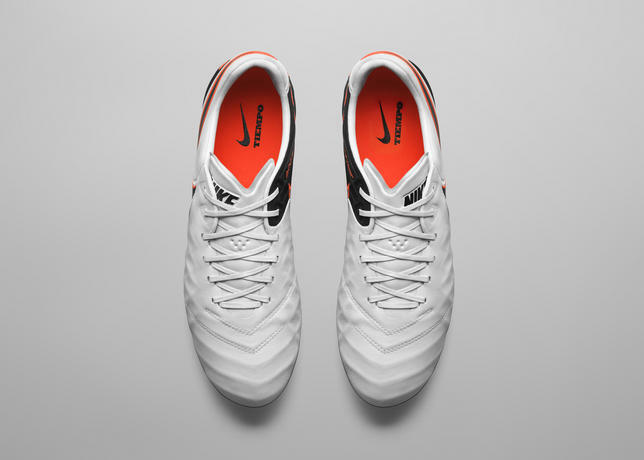 Another iconic element of Tiempo, the tongue, has also been modernised for performance. Tiempo Legend 6 retains the silhouette’s traditional tongue aesthetic while moving to a protective, affixed one-piece solution that is integrated into the laces. The boot features an internal mid-foot cage, moulded heel and microfiber sockliner to help keep the foot in place. The sockliner also has traction on its underside that aligns with silicon pods on the base of the boot, part of Tiempo Legend 6’s plate-to-sockliner, sockliner-to-sock traction system. The medial side of the boot is slightly higher than the lateral, to align with the anatomy of the ankle. This detail is noted by a small Swoosh inside the medial side. The heel counter of the Tiempo is designed for ultimate lockdown comfort. 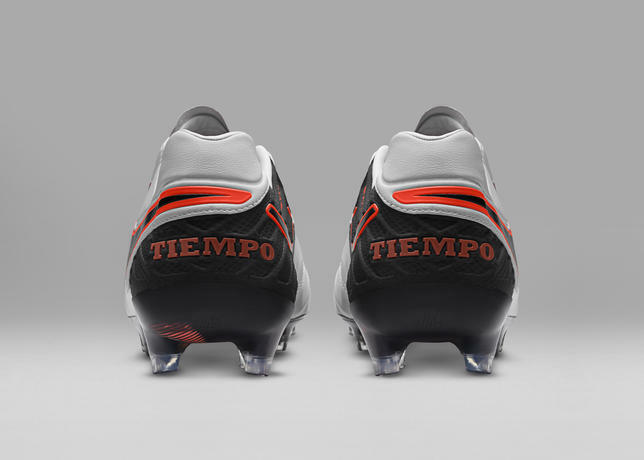 As a nod to the boot’s heritage, “Tiempo” is written boldly across the back of the heel. The primary Swooshes on the boot nearly wraparound, but do not touch. The upper is premium leather, noted by a small emblem where the leather meets the heel counter, and features All Conditions Control (ACC). 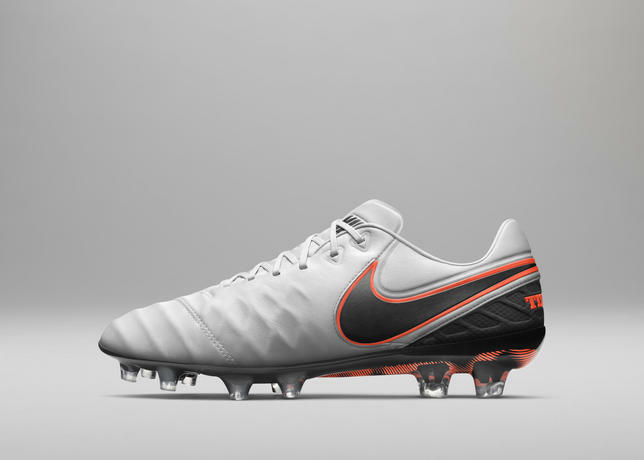 Tiempo Legend 6 will be available via the Nike Football App on November 29 and on www.Nike.com December 1. The boots will be available for NIKEiD customisation beginning November 30th via the Nike Football App, December 1 on www.Nike.com. What do you think of the Nike Tiempo Legend 6 ? Let us know in the comments section below or on our Twitter and Instagram pages. Perfect day to crack open the 🍉s The best GR from Nike in a while. What’s everyone else wearing on their feet in the sun today? What are everyone’s thoughts on the @pumasportstyle RS-X Tech and RS-X Tech @motorolauk sneakers? Geodes are good, pass it on. Remember those red light beer cups that you saw all the fans throwing about when celebrating at last summer’s World Cup? Well @budweiser have launched the ‘ReCup Arena’ - a unique football pitch made from those very recycled cups! Over 3.2 million Budweiser Red Light Cups were used during the World Cup, many of which fans took home as souvenirs. Together with the 2018 FIFA World Cup Local Organising Committee, the pitch in Sochi, Russia, has been made with 50,000 cups, creating an innovative, wear-resistant colored coating for a new pitch measuring 65 x 42 meters. Unbelievable scenes!